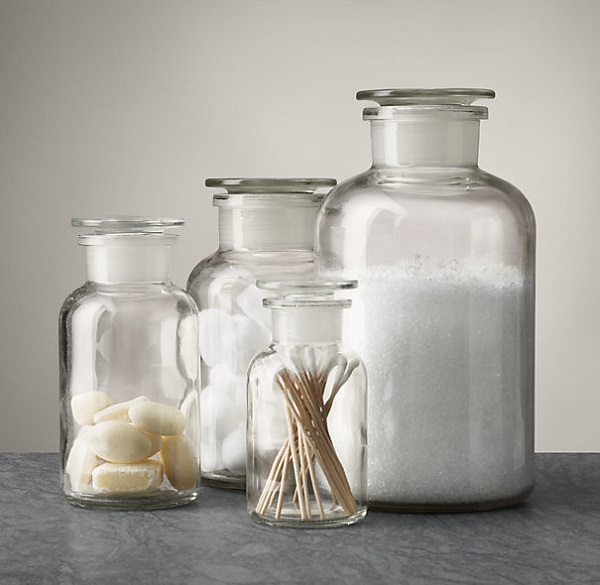 If you don’t have very much storage space, there are many aesthetically appealing ways to organize bathroom goods. You can build shelves, take advantage of space under the sink, even stack items right on the back of the toilet! 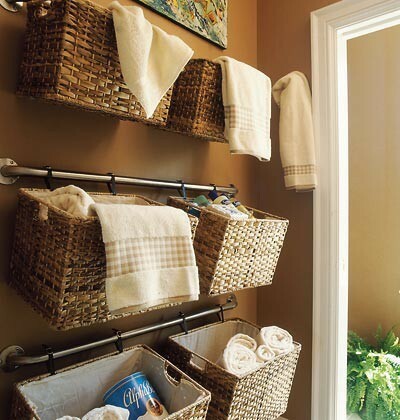 This DIY shelf is made from baskets and keeps everything easily accessible. There are thirty more creative bathroom storage ideas here . Lastly, keep those creative juices flowing with a bit of light reading. Subscribe to a handful of magazines that are related to business. Or if you want employees to really take a break, throw in a few paperbacks. You can use any number of things to display reading material, and they needn’t be expensive. 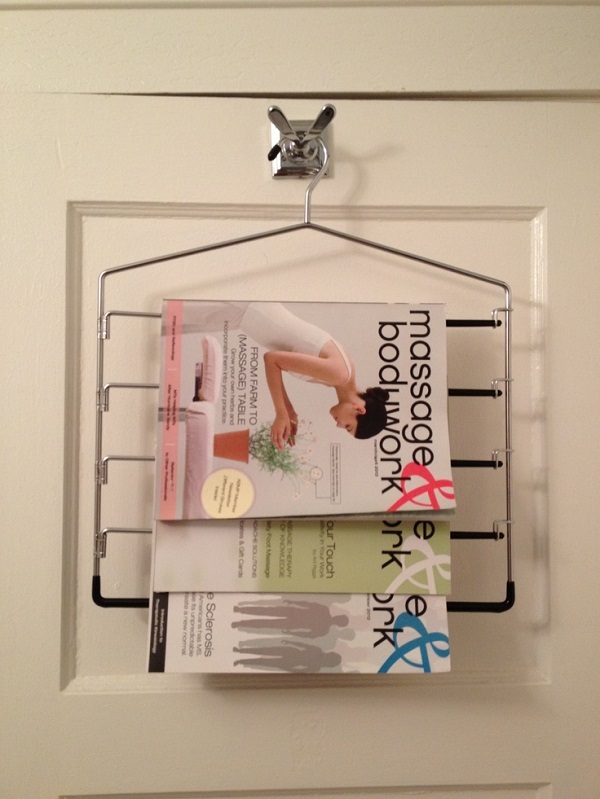 Even a pants hanger can be used as a magazine display! If you take on any of these projects, you’ll be well on your way to having a bathroom that employees will be proud of conducting business in. Now go ahead and practice your potty mouth. Tell us what you’ve done in your office restroom!